In this post we are sharing most beautify Elan Bridal Fahion at Veet Celebration Of Beauty 2013 for women. Elan is one of the top famous Pakistani fashion brand in our country. Veet “Celebration of Beauty”. The Veet woman radiates confidence with a hint of womanly charm and is admired by all those that surround her. 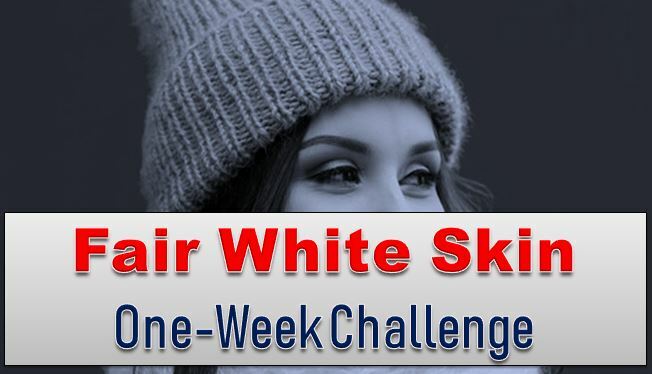 Indeed, this year’s Veet Celebration of Beauty was expanded in scale and scope to feature a diverse range of content in a singular synergistic ceremony, a marked first for the beauty brand. Here You can see Elan Products rang includes Bridal Wear (barat and walima dress), Party outfits, Evening Wear, Luxury Pret a poter & ELAN Lawn. These outfits consists on shirts, sleeveless jumpsuits, tops, tunic, lehenga choli, Ghaghra with trousers, palazzo and Tights. The pink carpet of Veet Celebration of Beauty 2013 was hosted by TV personality Ayesha Omar. Stylespk love to the fashion collection of Elan Bridal Fahion at Veet Celebration Of Beauty 2013 for sharing toward you. 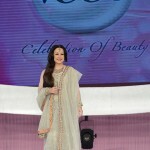 Veet gives her the confidence to be more than a woman Veet, the world’s leading brand in hair removal, held its acclaimed fashion event, Veet Celebration of Beauty on Saturday at the Expo Centre in Karachi. Hosted by renowned Pakistani film and TV stars Aamina Sheikh and Azfar Rehman, the amusement extravaganza consisted of a live fashion show, music and dance entertainment and a Beauty Awards segment which celebrated the best of Pakistani beauty. All there dresses are suitable for wedding party, bridal wear fashion, evening wears and formal wear for luxury parties. 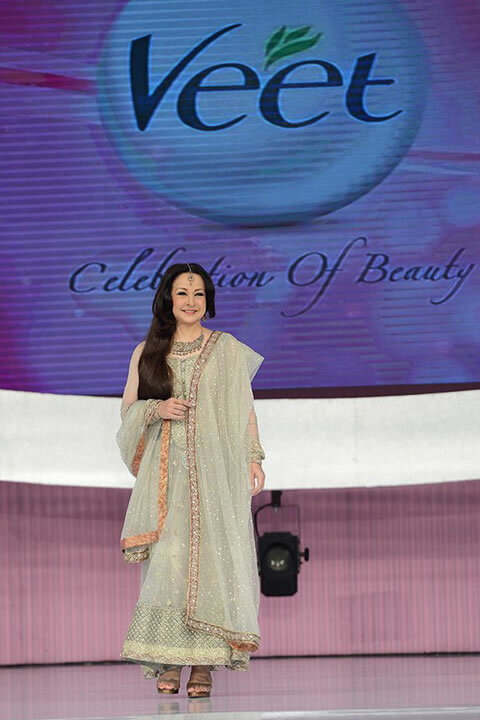 Now women see the images of Elan Collection at Veet Celebration of Beauty 2013….